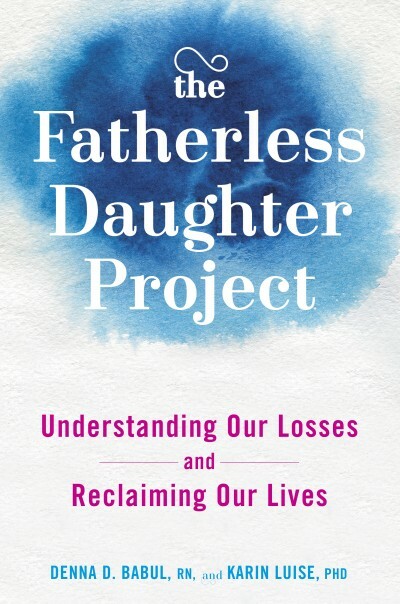 The Fatherless Daughter Project: Understanding Our Losses and Reclaiming Our Lives, is published by Avery of Penguin Random House. At this moment, tens of millions fatherless daughters of all ages are struggling to make these same life-enhancing choices for self-survival and success. Losing her father can impede a woman’s emotional and relational development – that’s tough to overcome. She may be an overachiever, but fail miserably—and repeatedly—in love. She may not even know what a healthy, fulfilling relationship with a partner looks like. She may have already succumbed to addictive behaviors to mask the pain, or perhaps her need for control makes her panic and keep pushing the eject button at the first hint of trouble in a relationship. That can destroy even a good marriage. Fathers disappear from their daughters’ lives because of death, divorce, geography, abandonment, emotional absence, incarceration, addiction, or abuse. Whenever you talk about the pressure points where families shatter and break, you’re entering treacherous emotional terrain. They go there with our reader. They also bring along a deep well of compassion, knowledge, and insight so she can finally understand why some big pieces of her life have still not come together in the way she desperately wants them to. Through stories from celebrities to the girl next door, they combine other fatherless daughters’ experiences with research and our own insight to guide women to live triumphant lives. Your past does not define your future.